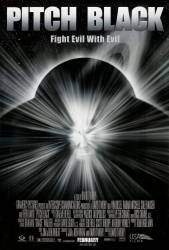 Deliberate mistake: In the scene right after they figure out that an eclipse would occur, everyone takes Shazza's drive to get back to the crash site. Right after the ride under the huge skeletons, you can see Shazza take a turn to her right but she was turning the wheel to her left. 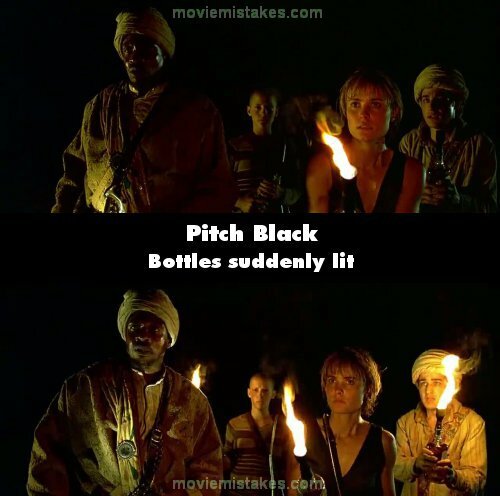 Factual error: When the group is travelling through the canyon near the end of the film, they are burning liquor to light the way, yet there is a lot more light than would be given off from this small flame. And none of it is flickering as would happen with a naked flame. Factual error: The rock samples are from "22 years ago this month," and the solar model predicts a solar eclipse every 22 years. But in order for the sample records to be kept, they must be marked relative to an interplanetary standard. For the orrery to have consistently accurate meaning, it must be set to local years - revolutions of the mystery planet around the sun. One timekeeping is used for records that must be transferrable to other planets and the other for daily use like time of day, but the two cannot be mixed. This makes much more sense than applying the standard cycle to local time - it would totally ignore local events like day, night, and eclipses, all of which are very important. Character mistake: When Carolyn first addresses Imam, she quite obviously pronounces his name "ell-mom," as though the capital I in his title were a lower-case L. It should be pronounced "ee-mam". We distinctly hear Ali call out his name in this fashion after the ship crash lands on the planet. Continuity mistake: When Fry is sitting by the giant bones, Johns approaches her drinking from a bottle and offers her a drink. When she takes the bottle, it has the cap on. Continuity mistake: When Riddick powers up the ship the first time during the escape, he is seen with blood on his left ear. This blood was not there on any previous shots and promptly disappears in the next shot.